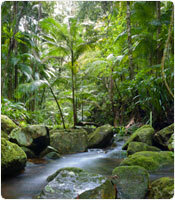 Xerox is committed to responsible and environmental business practices. The Xerox Green World Alliance is a valuable recycling program that minimizes environmental impacts of printer supplies and provides options to throwing away empty containers. Our supplies recycling programs have kept thousands of tons of supplies out of landfills. We lead the industry in alternatives for used supplies, including print cartridge reprocessing, waste toner reuse, plastics and metals recovery and turning waste into energy.